Guided reading might look different in our classroom. 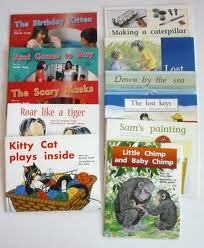 At our school we have a wonderful reading specialist, Ms. Beth French, who incorporates her reading program Read ALL. She brings in herself, her passion, all of the books, and all of the supplies that we need to make guided reading meaningful and successful for our students! We are very lucky to have her knowledge, her passion, and her support! At the beginning of the school year, I assess my students. We use the Rigby Benchmarks. After I test every child, the reading specialist and I sit down to determine what groups would best fit each student. Ms. French created the names of the groups. Ms. French houses all of the books and resources in her office. She pulls the books and activities daily and brings them to our classrooms. It depends on the students and the groups that I have. I also have combined reading with another first grade teacher. Her name is Mrs. Beth Bailey. Ms. French works with the leopards. I work with the lions and starfish. Mrs. Bailey works with the monkeys and the hippos. Ms. French works with her leopards in my classroom, and Mrs. Bailey works with the hippos and monkeys in her classroom. I work with the starfish and lions in my classroom. I am going to break down specifically what I do with my two groups, the lions and the starfish. As I introduce the book to the starfish, my lions are making a free literacy choice. What does that mean? They can choose to read a book to themselves, read a book to someone, listen to reading, work on writing, or read a big book. While they lions are busy working on their choice, the starfish and I are using our schema, making predictions, making connections, reviewing vocabulary, anything to set up them up successfully for their independent read. I believe in the power of choice, so I let the starfish choose whether they want to read the story to themselves or read the story to someone. I also let them choose where they want to sit and what writing activity they want to do when they finish reading and checking for comprehension (retelling what happened in the story to a buddy). Play teacher. Create your own questions about the story and answer them in complete sentences. Write an imaginary story about the characters. Create a web of facts you learned. What connections did you have to the story? 10. What would you do if ________? When the starfish finish reading, they make their writing choice. When they finish their writing, they get to make a free literacy choice. While my starfish are working independently, I am sitting on the floor working with my lions. I always begin by introducing the book. We see what is in our schema to help us understand the story, make predictions, make connections, review vocabulary and keywords in the story, anything to set up them up successfully for reading. We also always review the strategies we can use to help us when we come to a word we do not know. We have a poster of reading strategies to help us throughout the story. We all read while I listen to and talk to students individually about the story and their reading. When we finish reading, I ask them what they thought about the book. We take time to share our opinions, our connections, and our thoughts. After we read it once, I let them do read to someone. We review how they need to check for understanding (retell what happened) after each page. I listen very carefully, so I can share what I heard. Then, we all come back. I ask specific questions and inferencing questions. When we finish, the lions can now choose what they want to do for their writing. They have the same choices as above, except they also have a cloze activity (Ms. French always has that in the bins too.) they can work on. My lions are now off and working, so I pull my starfish. I ask different questions about their story, and they answer in reading buddies. We discuss our opinions and our connections. We also share our writing work in partners and give each other a star and a wish. A star is something they liked. A wish is something they wish they included. When I finish with the starfish, all groups meet back together to share our thoughts about reading. I begin by asking how they think they did, by showing me a thumbs up or thumbs sideways. This is a time for the students to self-assess. 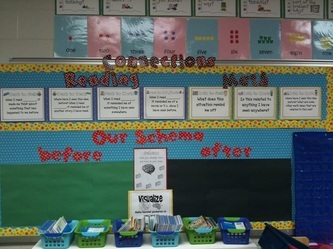 They can share any strategies they used, any connections they made, anything they added to their schema, anything that they did that was successful during reading groups. At the end of every quarter, we assess our students. We pull them one-on-one again to Rigby them. We record our data on the running record. We know throughout the school year, if we need to move any students to other groups, we can do that. We are flexible to meet the needs of all of our readers. Since Ms. French sees every first grade class, we do not have enough books to go home with every child. So, she types up every story we read, and the students take home a reading sheet of the story they read in his or her group. They read it to an adult at home, and then the adult signs it and sends it back in the child's BEE book (see Mrs. Meacham's site). 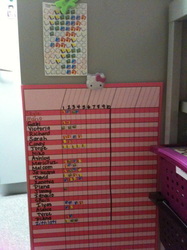 When the students bring the signed paper back to school, they earn a sticker on our reading chart. When they earn 10 stickers, they get a book tree dollar, and they get to spend their dollar on a free book in our book tree!! The students then add their reading homework into a fluency folder. 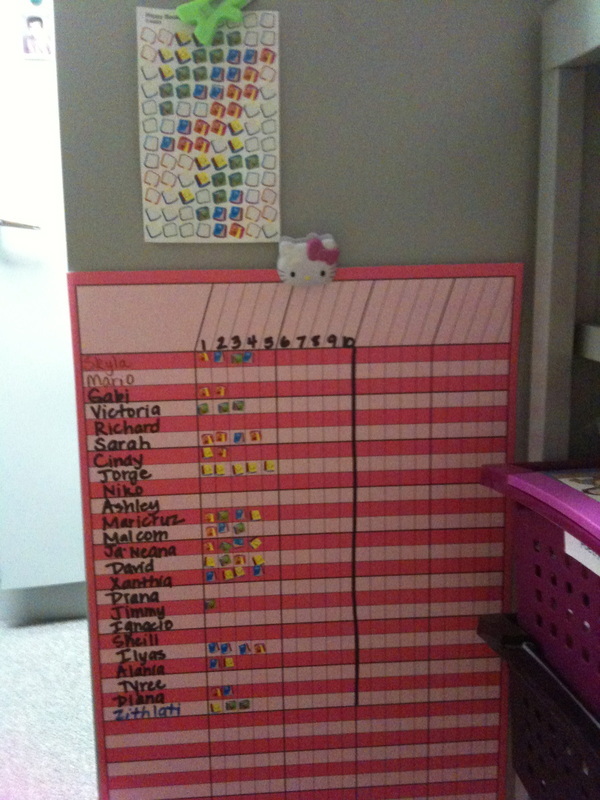 They can read their fluency folder throughout the day and at home. Monday - Thursday: Reading Groups. We read, discuss, and write about 1 book a day, a total of 4 books a week. Friday: Fluency Fun! The students get to reread the books we have read for the past two weeks. Then, Ms. French plays a phonics game with the class. The students really enjoy fluency Fridays! I read aloud the Magic Treehouse chapter book series by Mary Pope Osborne. The students really enjoy the characters Jack and Annie and all of their adventures! They make connections, ask questions, expand their vocabulary, and giggle! 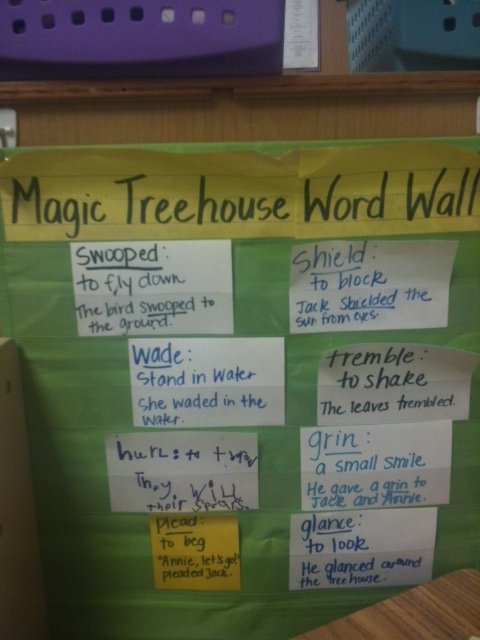 We are constantly expanding our vocabulary, so we have a Magic Treehouse word wall. 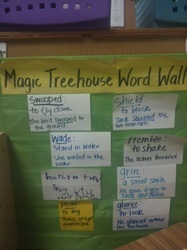 Whenever we add a new word to our schema, we add it to our word wall. The kids can go back and refer to it as needed. - If you could write your own story about Jack and Annie, what would it be? - Making visual/mental pictures in our brains - what do you think the illustration would like if it matched the text? 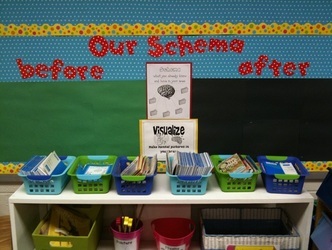 Using your schema means thinking about what you already know, what is already inside your brain. When we teach our students to use their schema, it gets them excited about reading and learning and helps build their comprehension, making it easier for them to understand text. Making connections means relating an experience, thought, or text to another experience, thought, or text to help us make predictions and build our comprehension. Making connections helps deepen students love for books and for learning.